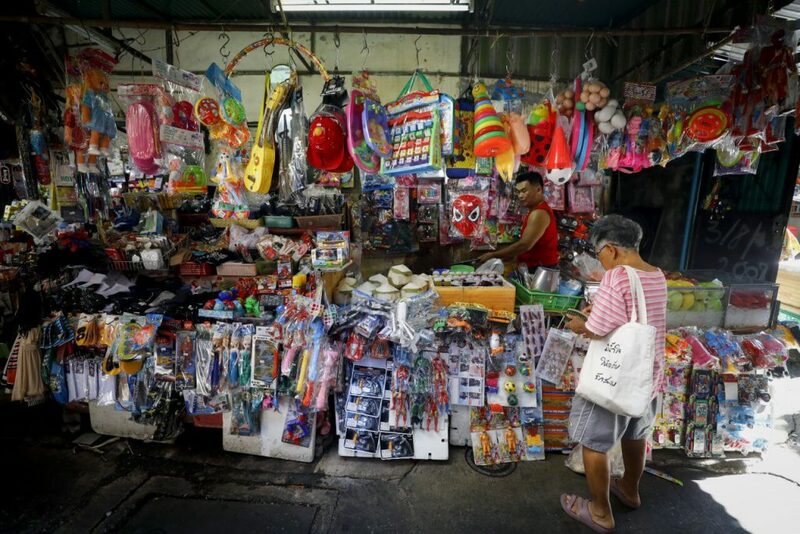 THE SHOPPING tax allowance to be announced next week by the government will satisfy the middle class, but will do little to boost the overall economy, a prominent economist said Wednesday. Anusorn Tamajai, dean of Rangsit University’s Economics Faculty, said the year-end shopping scheme is just a marketing strategy to please middle-class consumers. “It is marketing. I don’t think it will do much to boost overall consumer spending,” he said. The government should instead focus on boosting the income of people, most of whom are already teetering under high debts, he argued. He made the comment after Finance Minister Apisak Tantivorawong announced that he would submit a shopping-tax allowance proposal to the Cabinet on December 4. The break will cover three groups of products, with a Bt15,000 cap on the maximum eligible purchase amount. Apisak said the allowance would cover tyres made in Thailand, as the government wants to help rubber farmers who have suffered from low prices for latex and rubber sheets. To qualify, tyre manufacturers must use local rubber as the raw material, he said. The second group is community-based products, such as those sold under the One Tambon One Product (OTOP) brand, reflecting the government’s desire to help small local producers by encouraging shoppers to buy the products as gifts during the New Year season. The third group covers books, e-books and related products with the aim of promoting reading. Shoppers must make purchases between December 15 and January 15 to qualify. Those who buy the products during this period will be eligible for a tax allowance when they file their personal income tax returns next year, but those who make purchases in the first two weeks of January will be eligible to claim the tax allowance in 2020. More details will be available after the Finance Ministry submits its proposal on tax allowances for shopping to the Cabinet on December 4, he said. This year’s shopping tax allowance is different from the allowances offered in previous years, as the government is satisfied with the increase in consumer spending and so has limited the range of products covered. Anusorn said buying tyres was unlikely to raise the price of rubber products and so will have a minimal impact. People do not change car tyres often, he pointed out. However, he agreed that offering tax incentives to boost the sale of OTOP products will indeed benefit small local producers. He also agreed with a tax allowance to promote reading, as publishing houses that have suffered from disruptive technology may benefit from the scheme. In a related development, October’s economic indicators suggested an economic rebound from a slower growth in September, the Finance Ministry said. Pornchai Theeravej, finance and economics adviser to the Fiscal Policy Office, said yesterday the economy in October was driven mainly by consumption and private investment. The value-added tax (VAT) collection rose 7.1 per cent year on year, the highest growth rate over the past three months. The VAT revenue is an indicator of the rise or fall in household spending. Car sales rose 14.1 per cent, as consumers had increased confidence of their future incomes. Registration of new motorcycles rose slightly at 1.9 per cent, suggesting farmers and low-income groups were cautious of spending. Farmers had more income due to an increase in production, he said. Sales of commercial vehicles rose 36 per cent, the highest growth rate in 70 months, indicating rising private investment. Sales of cement rose 13.8 per cent, the highest in 65 months, suggesting robust activity in the construction sector. Exports had turned to grow at 8.7 per cent in dollar terms after contracting 5.2 per cent in September. The number of tourists dropped by 0.5 per cent to 2.71 million, due mainly to a sharp drop in Chinese tourists, though revenue from tourist spending did show a 0.7 per cent increase in October to Bt141 billion.